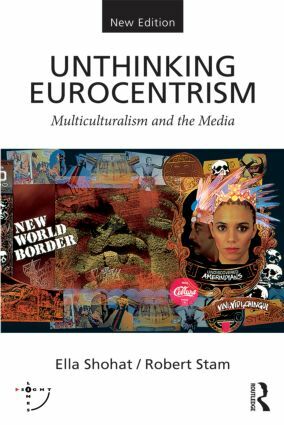 Unthinking Eurocentrism, a seminal and award-winning work in postcolonial studies first published in 1994, explored Eurocentrism as an interlocking network of buried premises, embedded narratives, and submerged tropes that constituted a broadly shared epistemology. Within a transdisciplinary study, the authors argued that the debates about Eurocentrism and post/coloniality must be considered within a broad historical sweep that goes at least as far back as the various 1492s – the Inquisition, the Expulsion of Jews and Muslims, the Conquest of the Americas, and the Transatlantic slave trade – a process which culminates in the post-War attempts to radically decolonize global culture. Ranging over multiple geographies, the book deprovincialized media/cultural studies through a "polycentric" approach, while analysing in depth such issues as postcolonial hybridity, antinomies of Enlightenment, the tropes of empire, gender and rescue fantasies, the racial politics of casting, and the limitations of "positive image" analysis. The substantial new afterword in this 20th anniversary new edition brings these issues into the present by charting recent transformations of the intellectual debates, as terms such as the "transnational," the "commons," "indigeneity," and the "Red Atlantic" have come to the fore. The afterword also explores some cinematic trends such as "indigenous media" and "postcolonial adaptations" that have gained strength over the past two decades, along with others, such as Nollywood, that have emerged with startling force. Winner of the Katherine Kovacs Singer Best Film Book Award, the book has been translated in full or in its entirety into diverse languages from Spanish to Farsi. This expanded edition of a ground-breaking text proposes analytical grids relevant to a wide variety of fields including postcolonial studies, literary studies, anthropology, media studies, cultural studies, and critical race studies.